Gets an all-new engine with a Start/Stop system. 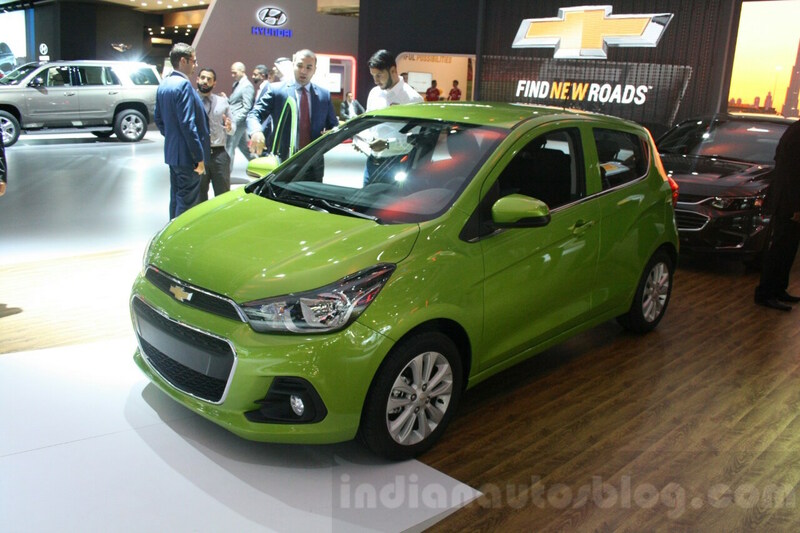 The 2016 Chevrolet Spark is being showcased at the 2015 Dubai International Motor Show. The new generation Spark was launched in South Korea in mid-July and is being manufactured at the GM's plant in Changwon, South Korea from 'globally sourced' parts. Dubbed the 'Next Spark', the new version is underpinned by an all-new platform which is touted to provide a 'sophisticated driving experience'. It features a 100 mm longer wheelbase and a 40 mm lower overall height. 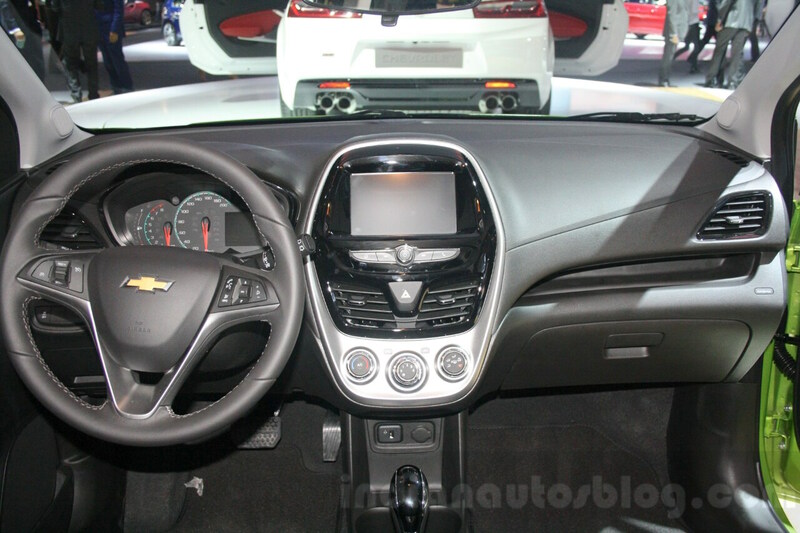 The salient features on the 2016 Spark include Apple CarPlay connectivity on the 7-inch MyLink infotainment system, heated steering wheel (optional), Opel Corsa’s city-mode steering system (for reduced effort during parking), cruise control, Side Blind Spot Alert, Lane Departure Warning and Forward Collision Alert, a rear view camera for reverse parking, and the like. The powertrain includes an all-new 1.0-litre Ecotec SGE three-cylinder petrol engine that produces 75 hp of maximum power and 95 Nm of peak torque, teamed with a 5-speed manual or a C-Tech automatic transmission. Being equipped with a Start/Stop system, the claimed mileage of the new Spark is 15.7 km/l. 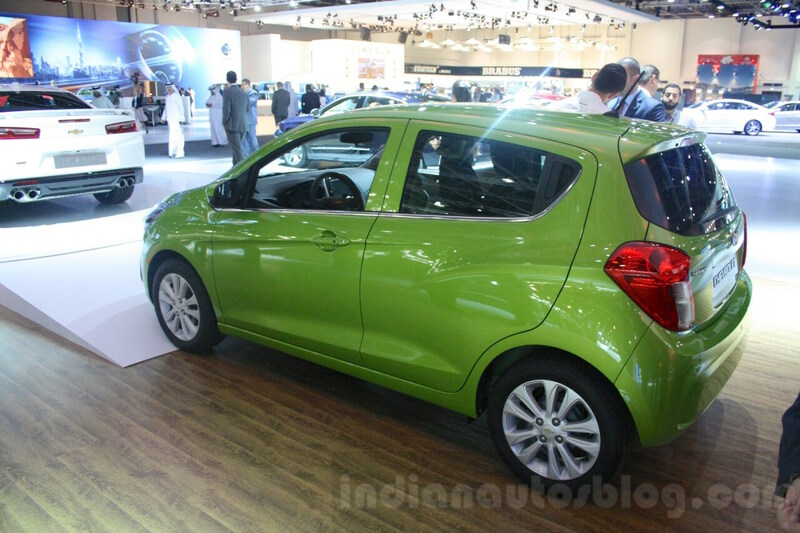 The 2016 Chevy Spark will be exported to 40 markets worldwide from South Korea. India will not receive the new model, and would get a hatchback and compact sedan based on the Beat's platform.